What makes Anne of Green Gables an international, time-honoured classic? International audiences have described reading L.M. Montgomery's most celebrated novel as an experience in enchantment. Balancing criticism and celebration, Jane Ledwell and Jean Mitchell bring together essays that consider the sources of the wonder that Montgomery's work inspires. The popular appeal of Montgomery's classic is undeniable, but the reasons for its worldwide resonance are less obvious. 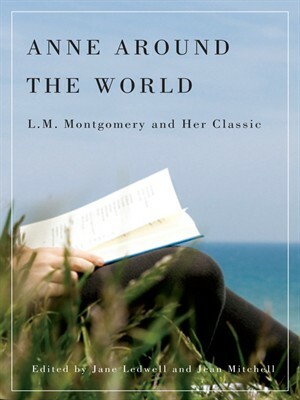 From a range of perspectives, the contributors to Anne Around the World focus on the numerous themes the novel raises, showcasing why it has charmed readers across the globe - from Iran to Australia, and from Sweden to Japan. Essays consider issues of class, race, and colonial history, discuss Anne's place in children's literature, her passion for writing, and the ways in which L.M. Montgomery and her red-haired protagonist are celebrated by legions of fans. Featuring contributions from many international writers, Anne Around the World traces the meaning and influence of a story that spread far from its place of origin on a small Canadian island to distant and culturally diverse places.